A designer's workspace is a manifestation of their internal creative process. Apparently, Virgil Abloh's is chaotic, yet clinical. 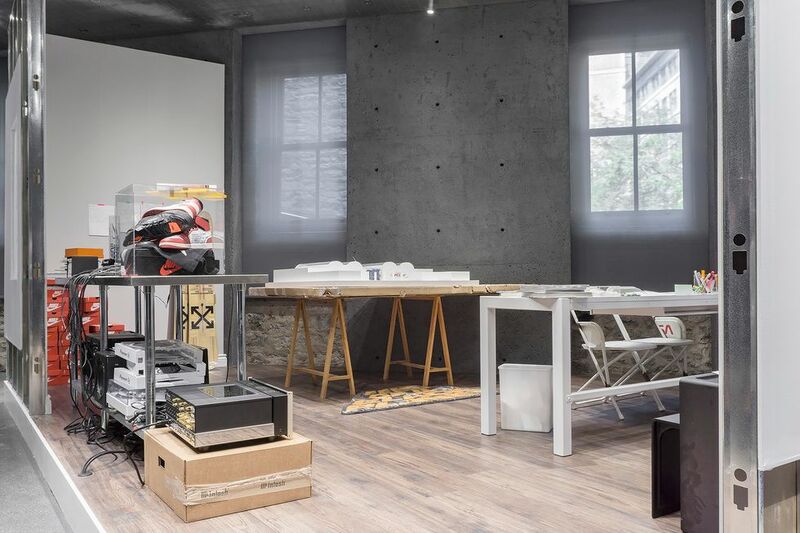 Titled "Cutting Room Floor," Abloh's installation at SSENSE Montreal — the Canadian e-commerce retailer's brick-and-mortar outpost on rue Saint-Sulpice — is an identical replica of his workspace in Chicago. Open through July 29th, the exposed wood-floor set with two semi-constructed, bare walls turns shoppers into voyeurs. 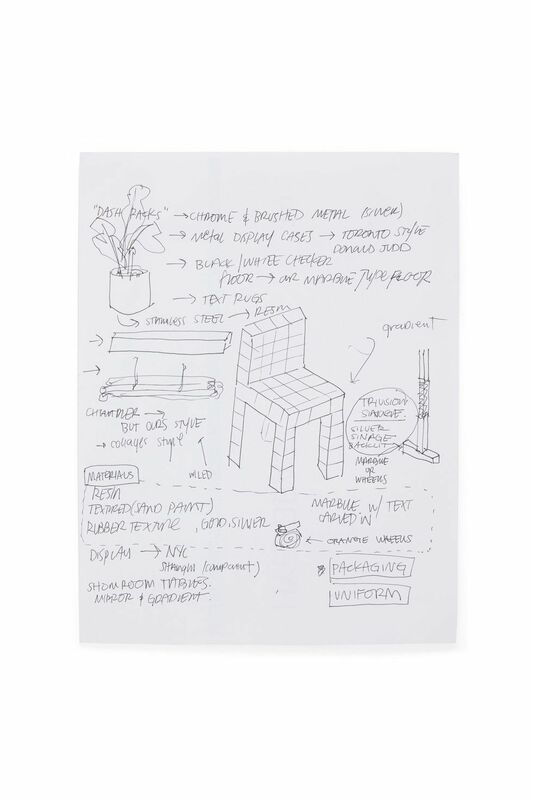 Outfitted with white chairs and tables littered with illustrations, references, schedule copies, design supplies — some of which are branded, vacuum packed, and up for sale — the space touches on Abloh's fascination with subverting traditional retail spaces. Limited edition versions of Off-White's Nike Air Presto and Air Force 1 and Off-White's transparent Rimowa suitcase signed by the designer have also been worked into the space, putting Abloh's process and final product side-by-side. Facsimiles of objects from Abloh's studio.